﻿ New Photo Editing Software Windows 10: PC System Requirements and which versions of Windows are supported. Which system requirements do I need for that photo editing software Windows 10? No matter which version of Windows you own, you do not have to worry about running the program! 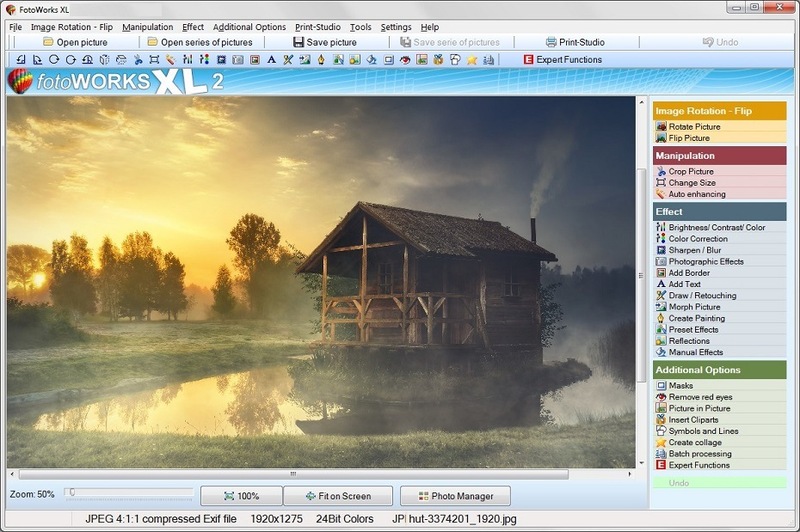 Fotoworks XL the photo editor for Windows 10 is a program that allows you to edit pictures with all previous Windows versions. You can transform your original image into a satisfying masterpiece. Well-customized improved to a high-end profile image. Make your photo what you want it to be by adding and removing features that will quench your need. There is a wide range of edits that you can make on the pictures once you download photo editing software. 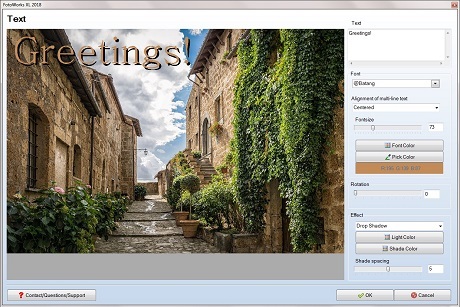 Photo Editing Software - Free Download here! It is an easy-to-use program that everyone can use ranging from the beginners to experts. All you need is to learn the basics and navigate on the photo editing software Windows 7. You can have the choice to make the best out of your photo to make it a functional product. An ex-ample of a useful product is a calendar. You can make one with your pictures or the pictures of your family and friends. Then, this photo album can give as a special gift to your loved ones. One way of customizing your photo is adding the morphs. You can pick the ones you need from the clip-art, and add to your images to create the moods; happy, sad, excited and disappointed moments can be expressed. Is this a Photo Editing Software Windows 7, too? Whether you use Windows 7, Windows 8 or even older versions like Windows XP, you can rest assured, because the software supports all Windows versions equally! Texts can do well in the photo. The photo editing software Windows 10 has all the font style and color that will rhyme with the image. Place the text conveniently to help tell the story on the image. Edit your background by adding or removing images. The background determines the beauty of your image. If there are distractors, remove them to keep the central points of focus on the picture. Use the light effects to make outstanding areas of the picture come out strongly. Lighter shades will do. The dark shadows on the photo editing software free download will bring the sense of distance and receding images of less focus. It is possible to achieve mirror effect by using the water art. Photo editing software Windows 10 has this great feature that will make your image have a water-like environment. It is a unique artistic effect that will make your photo very appealing and worth a view. Brush and paint effect on the photo editing software Windows 10 will give your image that touch of oil paint on your picture. The oil-paint is so authentic and will make your image come out so real. Turn your image to look like a pencil-drawn picture. You can create various textures and outlines to appear hand-drawn. The pencil effect is a great way to tell a story on single, and crowd images using the photo editing software. 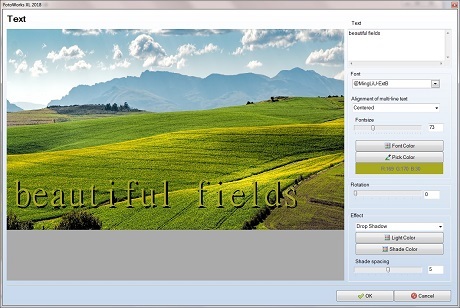 The photo editing software Windows 10 is an ideal program to resize your photo.